"Excellent content. Excellent tutor very encouraging. Excellent value for money. Sorry for so many 'excellents' but its true! I am a complete beginner and learned lots. I have attended a previous course and am interested in attending another course. 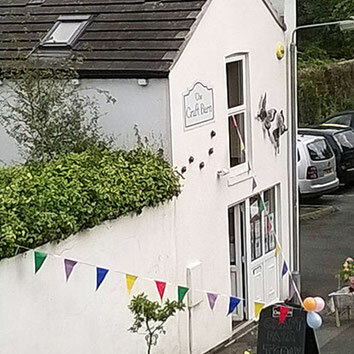 Thank you"
The Craft Barn is a community arts & crafts venue in the heart of the village of Hadfield, Glossop, Derbyshire. The former grain store and workshop has been beautifully restored to provide a bright & welcoming space for creative activities and they have kindly allowed me to run some of my printmaking workshops there. We will be working upstairs in a large room which runs the length of the building with high ceilings and plenty of light. 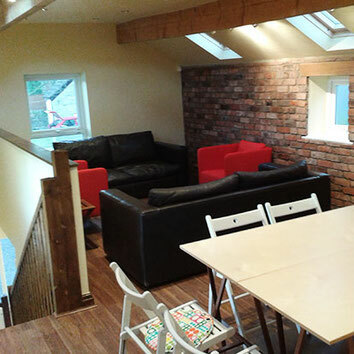 At one end there are sofas and arm chairs to relax while having lunch and at the other is a kitchen area with a coffee machine. There is a large free parking area at the back of the building. Workshops will start at 10am and finish around 4pm. There are a handful of cafes, pubs and shops including a Tesco Express nearby or feel free to bring your own lunch with you. All materials for the workshop will be provided. Please feel free to bring your own found images including images from magazines, photographs or anything your will feel inspired to work from including your own drawings and I will bring plenty of things for you to work from if you are stuck for ideas. 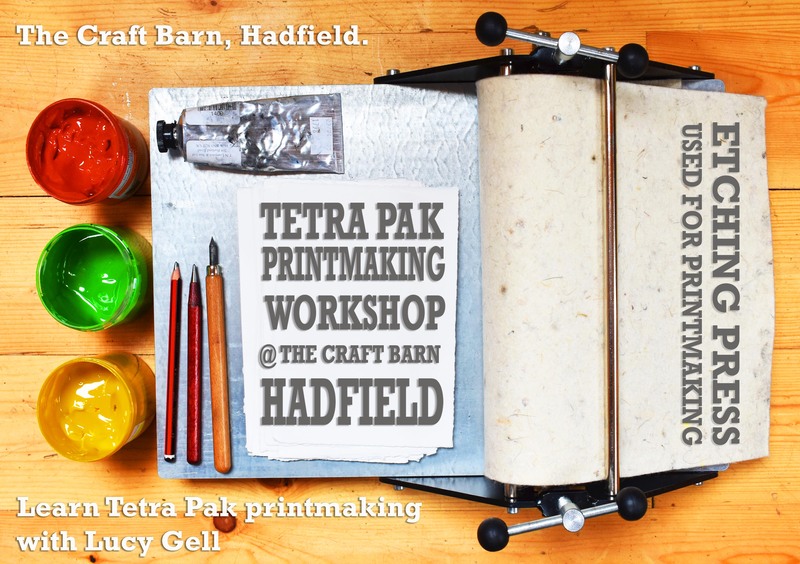 The Craft Barn is one of a number of venues that I use for printmaking workshops. For a list of all group workshops I am currently running please visit my workshops page. You might also like to read about my 1-1 printmaking workshops which can be arranged for dates at your convenience providing a much more personal experience. For a very special workshop experience check out my Printmaking In Paradise holiday!!! Please join my workshops mailing list to be kept informed of new workshop dates as they are being added.